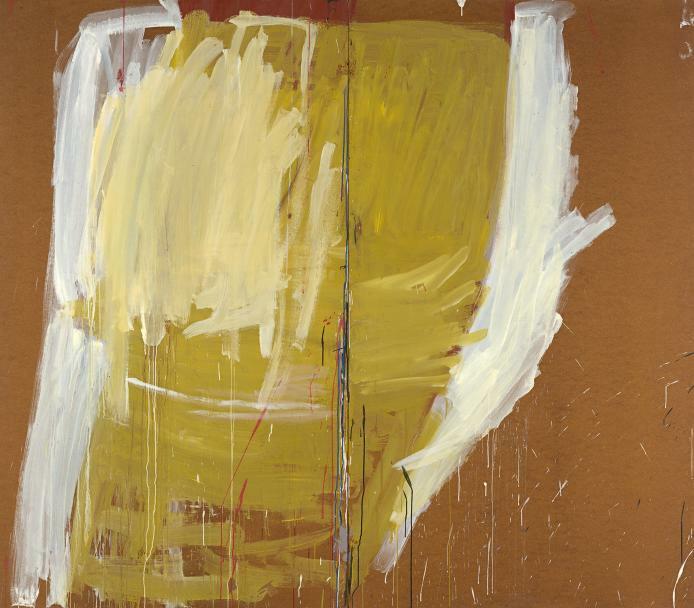 Untitled – yellow, 1970-73 was included in the 1973 exhibition of Tony Tuckson’s paintings at Watters Gallery, Sydney. It was the second of only two solo exhibitions Tuckson held during his lifetime. Although he described himself as a ‘Sunday painter’ who only had time to work in the evenings, on weekends and holidays, he painted around four hundred and fifty paintings and made more than ten thousand drawings. Tuckson’s early works were more figurative and his abstract expressionist works were inspired by Jackson Pollock and Tuckson’s experiences with indigenous artists on Melville Island while he was collecting works for the Art Gallery of NSW’s collection. 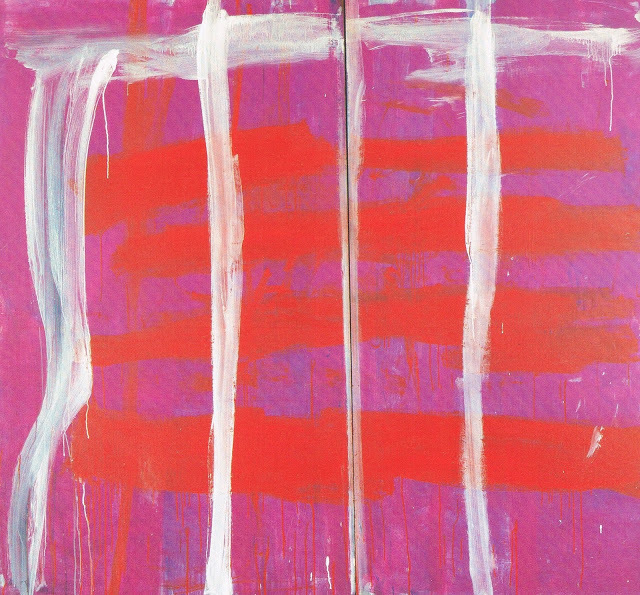 I love the boldness, spontaneity and wild energy of Tuckson’s late paintings. Minimal titles focus attention on the raw materiality of these works. 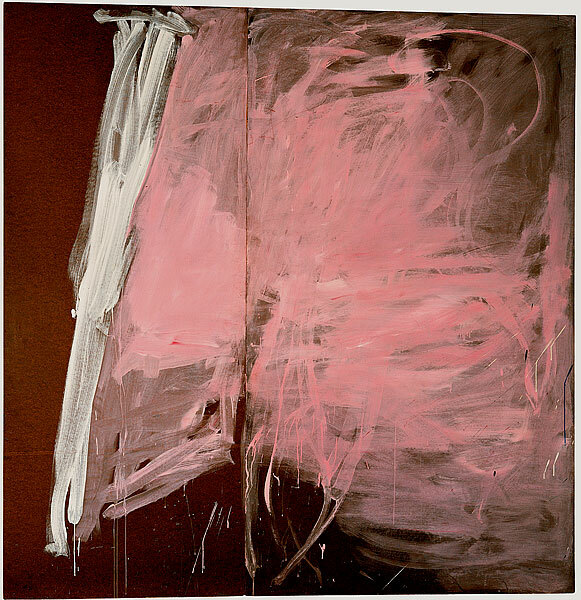 The large scale of the paintings demanded an intensely physical way of working and the broad brushstrokes, splashes, smudges and dribbles of colour speak of the frenetic energy of their creation.